A penny given for his sacrifice. In 1917 the British Government decided that each serviceman or woman who gave their life for the war should be given a token of gratitude for their sacrifice. There were thousands, and Alexander Campbell Robertson was one. It was decided by the Government that the family of each soldier would be sent a Memorial Scroll and a Memorial Plaque, known as a Dead Man’s Penny. But the Pennies were made of bronze and there were so many to make that it took years for them to be issued, they used the next of kin address listed on the soldier’s attestation, but a lot families had moved and had to be tracked down. Alex’s father didn’t receive his plaque until 1922, almost four years after his death. And while a scroll and plaque was made for Alex, he had actually died after the war. The British Government wanted to honour the servicemen and women who died because of the war, not just during it, so they issued a cut-off date that included Alex, who died of disease in 1919 in Egypt. You have been given Alex's Memorial Scroll that was sent to his next of kin along with his Dead Man's Penny. You are now tasked with discovering more of the story behind Alexander Robertson. How much of his story can you piece together? The suggestions below will help you on your research journey. The How We Find It Fact Sheet will also be a helpful tool in helping you discover the pieces of Alexander's puzzle. 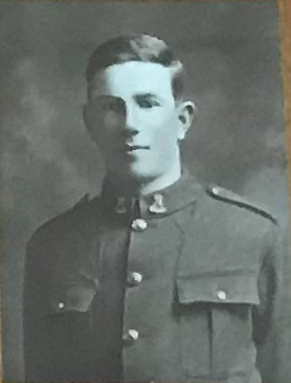 You're in luck, Alexander served in the New Zealand Army and so his records will be able to be found online at the Auckland War Memorial Museum Cenotaph. This is your most important search. Collect as much information as you can. Once you've found Alex's Serial Number move to Archway and search for his service documents there. Alex's father, Alexander Robertson, would have had a special card delivered to him with a photo of Alex's grave and the exact location should he ever be able to visit. Use Alex's Service Number to search for the location of Alex's grave. Download the Cemetery Plan and use it in conjunction with Google Maps to find his final resting place. WHAT WAS WENDON LIKE IN 1914? Use google to find the population of Wendon in 1914? Use Papers Past to search for Wendon. Reduce the search focus to 1915-1918. What type of things are going on in Wendon. What type of activity can you see? Find Wendon on the map, use Google Satellite to examine this community. What is the population of Wendon today? wheat is a dead man's penny? Next of Kin of New Zealand servicemen and women who were killed while serving overseas, or who died of wounds received while serving overseas, during the First World War received a Memorial Plaque and Scroll. They were known as Dead Men's Pennies and it was a huge job finding the relatives of soldiers once they were ready to be delivered in the 1920s. People often sell these Memorial Plaques and Scrolls online. Search platforms like Ebay or Trademe to find these for sale. what should happen to the war memorial church in wendon? The Memorial Church in Wendon was rebuilt and dedicated in 1923. A memorial plaque sits on the front of the church bearing the names of the ten Wendon men that lost their lives. Over the next almost 100 years the population of Wendon has changed - today the site contains only a hall and a church. The church is no longer accessible due to an earthquake risk. Earthquake strengthening is expensive and the community of potential donors is small. What do you think should happen to the Wendon Church? Use google to find out what happened to other First World War Memorials that faced an uncertain fate such as Victory School. In the late 19th century tuberculosis was a major killer of Europeans, accounting for 10% of all deaths. Until 1922 many soldiers that returned home with Tuberculosis were treated at Te Waikato in Cambridge. There was no effective drug treatment until the 1950s and so the treatment of the day was 'open-air' with lots of fresh air, sunlight, exercise and good food. Alex was unlucky enough to never make it back to New Zealand. He died in Suez, Egypt while the rest of the world was rejoicing at the end of the First World War. Use Auckland War Memorial Museum's Cenotaph to conduct a custom search for the keyword 'tuberculosis'. why have we included the story of a man from such a tiny place? We first came across Alex's story when the Walking with an Anzac team visited Waikaia and we met Alex's descendant, Mairi. She showed us Alex's Dead Man’s Penny complete with his Memorial Scroll (still contained in the cardboard roll). Fast forward two years and we were in Waikaia again searching for items for the WW100NZ Discovery Box. Mairi thought she might know where we could find a photo of the Alex, the man on our Memorial Scroll, so suddenly we were both doing the After School Bus (Mairi is also the Waikaia School Bus driver) route ending with 5 year old Stella’s house. Stella’s Mum rang around and we detoured to a local family homestead who look after the key to the Wendon Hall. Back to the Wendon Hall and the Wendon War Memorial Church. Inside we found green velvet curtains, the most fantastic wallpaper and a photo of our man. Mairi was stoked because next to the photo were two more photos of both of her grandfathers. New Zealand really is a remarkable place and it is people's generosity of time and spirit that has made this project possible. Alexander Robertson Scroll is connected with the story of Alexander Campbell Robertson who attended Balfour School. The original document is held by Waikaia Historical Society. The story is told with the permission of Mairi Dickson, on behalf of the Robertson Family. Alexander Robertson's scroll was sent to his father's address in Wendon. The Walking with an Anzac Team found the first clue in Alex's story when they visited Balfour School. The Roll of Honour was donated by ex pupils and hangs in the school office. Further research on the same platforms you have used today allowed us to discover Alex's Story. Research starting points for Alex's Story. Alexander Robertson's dead man's penny.